Welcome to the first DI Report of the new year, it has been a busy and productive time! Since our last edition, the Democracy Initiative brought together 220 leaders of DI organizations and other groups in our largest and most dynamic annual Convening to date last December. Building off of the priorities set at the Convening, we have launched a comprehensive and coordinated planning process to set priorities and plans for 2015 and 2016 and helped organize a national day of action around the 5th anniversary of Citizens United. Keep reading to learn more. Left: Sarita Gupta (Jobs With Justice) outlines her commitment to the DI. Right: Stacey Long Simmons (National LGBTQ Task Force) votes on potential 2015 issue priorities. National days of action: Key dates throughout the year, such as last month’s anniversary of Citizens United and this year’s upcoming 50th anniversary of the Voting Rights Act, are opportunities to organize Democracy Initiative partners, allies, and activists around voting rights and money in politics. The strength and purpose of the DI lies in the millions of activists in our member organizations that are seeking to build a stronger, healthier democracy. Harnessing that power is the key and specific days of action give us the structure and framework to build around. Place-based organizing: Whether money in politics or voting rights, there are myriad opportunities to lead and support on-the-ground efforts to empower voters and make their voices heard. We are already looking at specific opportunities to support automatic registration in Oregon, fair elections in Maryland, and renewed efforts in Delaware for election-day voter registration. These are just a sample, but there is clearly an appetite for reform across the country and we need to begin to seed the sense that change can happen in victories across the country. And we need to find places where each change can build on the last, whether it is a change to how campaigns are financed, or how people vote. Guiding membership organizations to engage in democracy reform: We know one of the key challenges for DI member organizations – and for the democracy movement broadly – is to how to connect with and mobilize millions of our members and activists in the fight to give true meaning to the promise of our democracy. The DI’s messaging project is focused precisely on meeting that challenge. We will be developing specific communications tools and materials for DI partners and to both sound the alarm on the attacks on our democracy and champion meaningful solutions to the threats imperiling our democracy. The Convening made clear that these three outcomes are essential for the Democracy Initiative’s continued growth and success. We will share more detailed plans shortly for our work together in 2015 and 2016. We enthusiastically welcome your feedback and ideas. Please contact Marissa Brown (mbrown@democracyinitiative.org) with any thoughts or suggestions. January 21st, 2015 marked the 5th anniversary of the Supreme Court’s disastrous Citizens United decision, unleashing a massive onslaught of corporate and mega-wealthy donor money on our political system. As our first national day of action of the year, Democracy Initiative partners and allies coordinated multiple activities and events to fire up activists and educate the public at large about the devastating consequences of this decision. There were more than 60 events in 50 cities and towns across the country, with thousands demonstrating nationwide on a cold winter day. The flagship event in front of the Chamber of Commerce in Washington, DC gathered a large crowd of activists and supporters. Present at the event were Common Cause, Sierra Club, NAACP, Greenpeace USA, CWA, Public Campaign, Every Voice, ATU, APWU, Public Citizen, People for the American Way, US PIRG, Jobs With Justice, Free Speech for People, and Alliance for Justice. More than five million petition signatures were gathered in support of a constitutional amendment to overturn the decision. 22 Democracy Initiative partners contributed to this petition drive. Op-eds from 47 leaders were featured across the country targeting Citizens United and its adverse effects on our democracy, including 12 from Democracy Initiative partners. The Center for Environmental Health, CWA, Common Cause, NAACP, Public Citizen, People for the American Way, and US PIRG featured prominently in national and local publications such as Alaska Dispatch News, Delaware County Times, Des Moines Register, The Hill, Huffington Post (and here, here, and here), Kansas City Star, The Monitor, Dallas Star-Telegram, Talking Points Memo, and the Texas Tribune. On January 14th, eight organizations came together for a joint research release event entitled, Five Years After Citizens United: What are the Costs to Democracy? 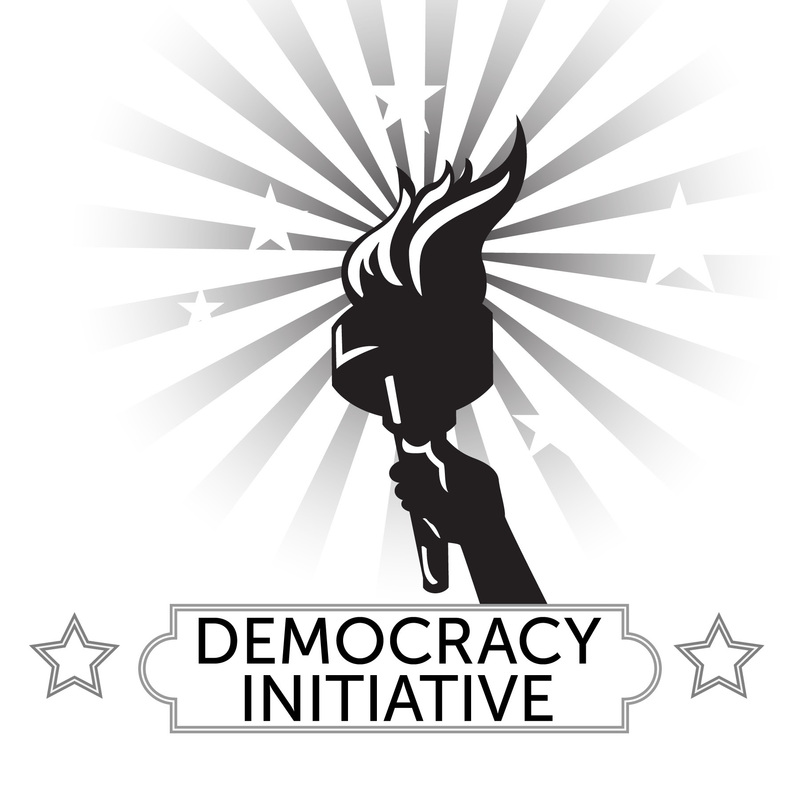 Independent research on the role of money in the 2014 midterm elections was presented by the Center for Media and Democracy, Common Cause, Demos and US PIRG, Justice at Stake, Public Campaign, Public Citizen, and the Brennan Center, with particular emphasis on the effects of 2010’s Citizens United v. FEC. After months of planning, all of this work demonstrated the power of our coalition and activists, collectively fighting back as billionaires and corporations continue to buy our government at the expense of hardworking Americans. On December 11th and 12th, the Democracy Initiative hosted its third annual convening, bringing together more than 200 leaders and activists from many diverse organizations and advocacy backgrounds for a discussion and opportunity to collaborate on some of the most important issues facing our democracy today. It was the biggest convening by far, and the room remained packed when the conference concluded on its second day. Launching the two-day conference was a collaborative meeting with the leaders of DI organizations. With a warm welcome by CWA President Larry Cohen and Sierra Club Executive Director Michael Brune, Democracy Initiative Executive Director Marissa Brown and Common Cause President Miles Rapoport led a discussion on what has been accomplished to date and the potential strategic directions for Democracy Initiative and choices about potential campaigns and priorities. As noted, this was the largest gathering of organizational leaders since DI’s founding and provided a great opportunity for face-to-face discussion to set priorities and how organizations can use their strengths and infrastructure to advance a democracy agenda in the coming year and beyond. As this meeting of “principals” concluded, the second and longer part of the conference was kicked off with a dynamic joint speech by Greenpeace USA’s new Executive Director, Annie Leonard, and the NAACP’s new President & CEO, Cornell William Brooks (below left). Together, they synthesized the guidance from the morning leaders meeting and set the stage on what to expect at the Convening. Wendy Weiser (above right), Brennan Center’s Democracy Program Director, then took the stage for a presentation on the lay of the land for advancing a democracy agenda. Addressing the advance of restrictive voting laws passed since 2010, she then outlined a defensive and affirmative agenda for both protecting and expanding voting rights. The Road to a Constitutional Amendment – A discussion on how the amendment campaign can take further steps forward in the next two years and how it can positively impact other organizing efforts. Advancing Voting Rights – A discussion on expanding voting rights, modernizing state voting systems, and restoring felon voting rights. Big Money Tips the Scales of Justice – How judicial elections undermining the independence of our state courts. Many Voices, One Chorus – This was a presentation by Lake Research’s Senior Partner, David Mermin, on the Democracy Initiative’s ongoing large-scale polling and research project. Aimed at developing umbrella message materials for DI organizations on democracy, David provided an update on what we have learned so far through the first focus groups and what organizations can expect in the months ahead. Right: Jodeen Olguin-Tayler of Demos. The conference reconvened for a presentation and panel discussion on the new Stacked Deck Report led by Demos Counsel Adam Lioz, and Director of Advocacy Jodeen Olguin-Tayler. Their passionate presentations on how a political agenda driven by the donor class exacerbates economic and racial inequities and undermine the fundamental principles of our democracy were truly moving and underscored the importance of democratic reform. Think Nationally, Act Locally – Focused on working locality by locality to build for public financing systems that empower small donors. Fighting back in the States – Highlighted recent campaigns and explore state-level opportunities for efforts to protect and even increase access to the polls. Mobilizing Millions – Strategized about how to seize opportunities for collective engagement in 2015 in the money in politics and voting rights fields nationally and in states. Redistricting – Focus on reforms that will create districts drawn to reflect community interests. Lifting the Corporate Veil – How we will win fights to force disclosure of corporate political and lobbying spending. Moving Forward on Voting Rights Step by Step – Building campaigns in states to move same-day registration. Breakout sessions during both days of the conference. The conference concluded with a packed house as Greg Moore, the Democracy Initiative’s Senior Strategist, and Courtney Hight, the Sierra Club’s Democracy Program Director, led a collaborative discussion and debrief session on the Democracy Initiative’s next steps. Leaders and participants alike described the inspiration they drew from the conference, noting the impressive breadth of our coalition and the clarity that was present in developing a broad program to enact the changes that will make our government of, by, and for the people. Thank you for tuning in to this edition of the DI Report. Other publications and materials will follow in the weeks and months ahead. Please stay tuned! Feel free pass this on to anyone who may be interested in our work. If you are not already a subscriber, click hereto receive the DI Report in your inbox. And please be sure to follow us on Twitter (@Unite4Democracy) and like us on Facebook!